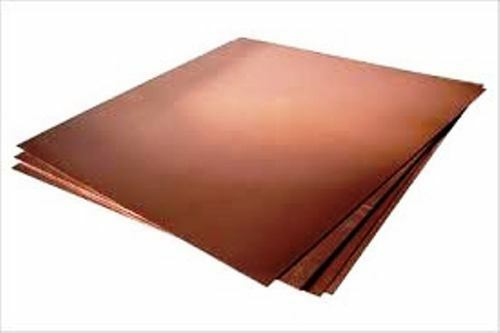 We are offering Copper Alloy Sheets to our clients. Established in the year 1998, we "Mukesh Steel India" take the pleasure to introduce ourselves as one the largest Manufacturer, Wholesaler, Distributor, Importer, Exporter and Trader of Stainless Steel Pipes and Tubes, Alloy Bars, and Buttweld Pipe Fittings. We also supply these items especially Stainless Steel Sheets/ Plates/ Coils/ Pipes to Engineering Industries who are engaged in the Manufacture and fabrication of Process Equipment. We can supply the Items even under third party inspection viz Bureau Veritas, D.N.V. H & G, Kvaerner Power Gas, Uhde India, Eil, Lloyds, Toyo, Chemtex, Ceil, Tecnimont ICB & IBR etc. As we are regularly maintaining bulk stock in every item, we can arrange supplies in time and that too at the most competitive rates. We shall be thankful to you to kindly enlist our name with your approved Vendor list and favor us with your valuable inquiries against your regular requirements.